And each pair of eyes can be fascinated by the beauty of the lake. 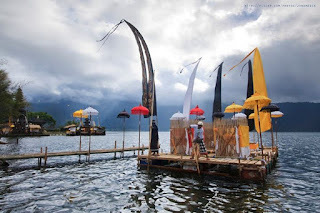 There are many holiday activities you can do with all your beloved family, like: such as: fishing, swimming, playing various water games, boat rides, or just sitting / sightseeing enjoying the natural panorama of the lake. Even though tourism facilities in the lakes in Bali are not optimal, this lake is still attractive for tourists who like natural scenery. And some tourist activities that can be enjoyed while on vacation include:. Natural hot spring in this place is also believed to be efficacious for the treatment of diseases, especially skin diseases. A photo with a background of the central lake temple. Cool air of the mountain area. With beautiful cliffs and green trees. You can enjoy the beauty of this twin lake from the top of the hill.